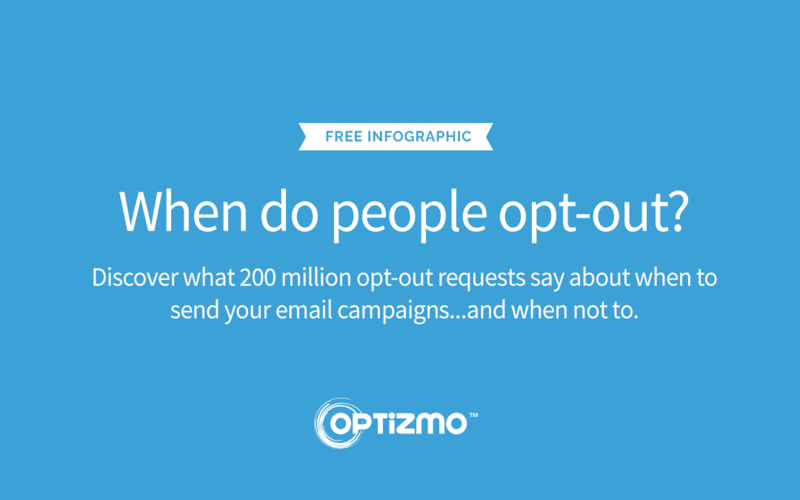 AUSTIN, Texas, Sept. 24, 2018 (GLOBE NEWSWIRE) — OPTIZMO Technologies, the industry leader in email suppression list management, has released the third infographic in its Email Opt-Out Infographic series, visualizing opt-out behavior from a sample of the email opt-out request data processed over a 14-month period. Forty years since the first marketing email was sent, it continues to be one of the most effective channels across many industries for both customer acquisition and retention. This, despite email sometimes being depicted as old-school digital marketing. Email marketing has evolved significantly over four decades, moving from simple text-based messages, to including graphic content, adaptation for the mobile device screen, and eventually using advanced personalization and automation technology. One important facet of this evolution has been the creation of a structure around the opt-out/unsubscribe process. Among the many reasons email marketing has grown and continues to be effective is the development of regulations that require marketers to provide recipients of commercial email messages with an easy way to opt-out of future messages. With hundreds of billions of emails sent each year to as many as 3 billion email users worldwide, the volume of opt-out requests is substantial. OPTIZMO provides email opt-out collection and processing for hundreds of companies around the world, which gives the company insights into trends in overall opt-out activity. This infographic from looks at WHEN opt-out requests are received (hour-of-the-day and day-of-the-week) as well as trends over the month and during various holiday periods. Previous infographics in the series were focused on WHERE opt-out requests come from and WHAT technology is involved in those requests. These infographics are available on the OPTIZMO website.